A modern metropolis that is home to some of the most iconic architectural marvels in the world, Dubai has a pulsating day and nightlife, with numerous options for people who're looking to enjoy a lively, action-packed vacation. During the winter months, when the patio cafes, al fresco restaurants, rooftop bars and beach clubs are in full swing, the city comes to life with the sort of energy that is palpable yet hard to replicate. Here's a list of some seriously cool places to hang out in Dubai, if you are looking to become a part of the buzzing city life here. 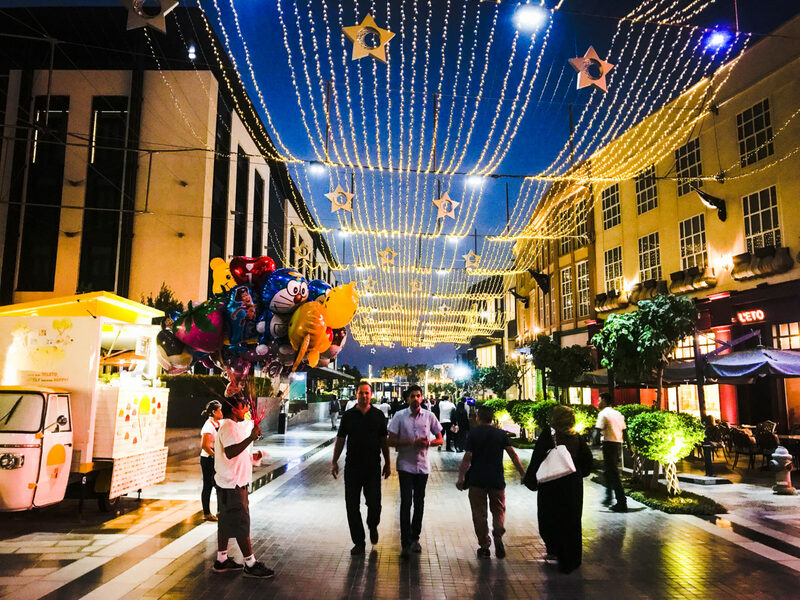 A fairly recent development and still in the process of getting new eating outlets, Sheikh Mohammed Bin Rashid Boulevard located in the Dubai Downtown area has proved to be an excellent alternative to Souk Al Bahar with the variety of eating options available. It's a street decorated with well-lit up trees and lined with al fresco cafes and restaurants. Even some hotel chains have come up offering amazing lounges, views of Burj Khalifa and superb ambiance. Simply saunter down the boulevard from the Dubai Mall or you could hop on the Dubai Trolley from Burj Khalifa and Dubai Fountains area to come to the Boulevard. From local to international chains, this is one of the upcoming, trendy and uniquely cool places to hang out in Dubai. Insider tips: One of the interesting places to watch out here is the Dubai Opera. For food, Reem Al Bawadi is an amazing Arabic restaurant and Royal Orchid has great Asian fare. This is easily one of my favourite cool places to hang out in Dubai. You can walk amidst towering skyscrapers on one side and the green canal waters lined with yachts on the other, or choose to sit back and relax on one of the patio shisha cafes while sipping on refreshing mocktails. A very chic place with numerous dining, leisure and entertainment options, Marina Walk extends to about 3.5 kms from one end to the other and has many diverse areas that you can explore, such as Dubai Marina Mall, The Address Hotel, Marina Plaza and Pier 7, a multi-storey tower focusing on providing superlative dining experiences. 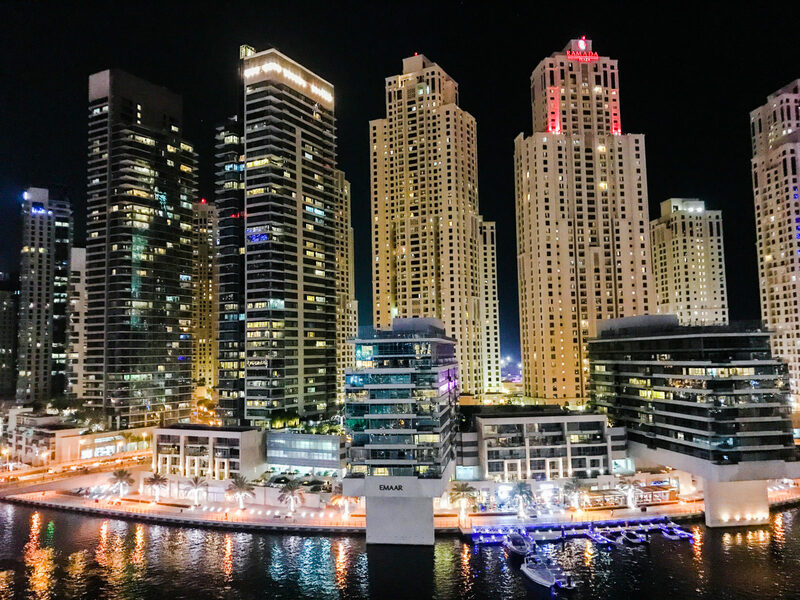 Insider tips: For some amazing views of Dubai Marina from a height and extremely good Pan-Asian cuisine, Asia Asia on Pier 7 is an excellent choice. Two of my favourite lounges offering breathtaking views with shisha as well as interesting cocktails are Shades at The Address Hotel and Atelier at Pier 7. Not too far from Dubai Marina is another one of the cool places to hang out in Dubai. Jumeirah Beach Residences, better known as JBR Walk, is Dubai's version of South Beach, Miami. Dubai's most extravagant and flashy crowd, with swanky cars that'll make your jaw drop, can be seen here. A gold-plated Rolls Royce can be spotted on certain days, parked in front of one of the hotels. A stone-paved path, alfresco cafes, and restaurants with beach dining, bars and lounges with beachside parties, open-air cinema with bean bags, chic and fashionable shops as well as a 'Beach Mall' are a few things that'll spark your interest here. During the day, you can enjoy some water activities at the inflatable water park, just off The Beach, JBR. In the winter months, this is one lively and crowded place. A recent development, visible from here, is the upcoming Bluewater Island, which will feature the Ferris Wheel or Dubai Eye, considered to be one of the largest of its kinds in the world. A modern tramway system is a perfect way to get to JBR Walk, avoiding the jam-packed streets. This shopping and dining destination, which is also great for nightlife, is one you cannot miss! Insider tips: Between November - April, you will often find an outdoor artisan market with food stalls, and art & craft vendors at The Beach. You're spoiled for choice when it comes to gourmet food and some of my favorite restaurants here are PF Changs for Chinese and Busaba Ethai for Thai cuisine. I love this place because of the eclectic mix of the old (architecture) and the new (bars, restaurants, nightlife). Madinat Jumeirah is a hotel complex which comprises of 3 luxurious hotels, a bunch of bars and lounges, a souk, beachside and other fine dining options and a lovely meandering canal which connects all these places, which can be visited by an abra or simply enjoying a nice walk on the pathways. Some areas, especially the beach and fine-dining restaurants, are accessible only if you have a reservation or are a hotel guest. However, most of the outlets are open to the public. Be it during the day or at night, this place is always buzzing with events that'll capture your interest, cocktail concoctions that'll amaze you and variety of food options. It is one of my favourite places to hang out in Dubai. Insider tips: Cocktail lovers must try the Tiki Puca Puca at Trader Vic's. On-site is also one of the best spas you'll find in town, Talise Spa. Opt for a Yoga session by the beach or simply enjoy a massage treatment in one of their luxurious private rooms. If you like Thai food, Pai Thai is a great choice: amazing food and the perfect setting, on a wooden platform right over the canal. If you're happy to shell out some bucks for a luxurious dining experience, Pierchic will not disappoint you. Situated (as the name) on a pier jutting out into the sea with unparalleled views of Burj Al Arab, this place is a seafood lover's haven but stands out more for its setting and brilliant views. Read about 15 amazing things you can do for FREE in Dubai. An area that has come up only recently, Citywalk is unlike any other place in Dubai. Set in the backdrop of Burj Khalifa, this place has numerous patio cafes, food trucks, miniature buses (for children), gaming outlets (such as Hub Zero and Mattel Playtown), ice cream vendors, retail outlets, a cinema and so much more! It is a lively place to hang out, especially for families, with a very London-like feel. However, none of the restaurants here serve alcohol (there are no bars and lounges). Nevertheless, the food and entertainment options available make for Citywalk to be one of the cool places to hang out in Dubai. Insider tips: For fusion Indian food, Farzi Cafe is a must-visit. Not only is surprisingly reasonably priced, the food is finger-licking good, with very creative combinations, suitable for all types of palates. Green Planet is yet another interesting concept, an immersive vertical indoor tropical forest with exotic flora and fauna. 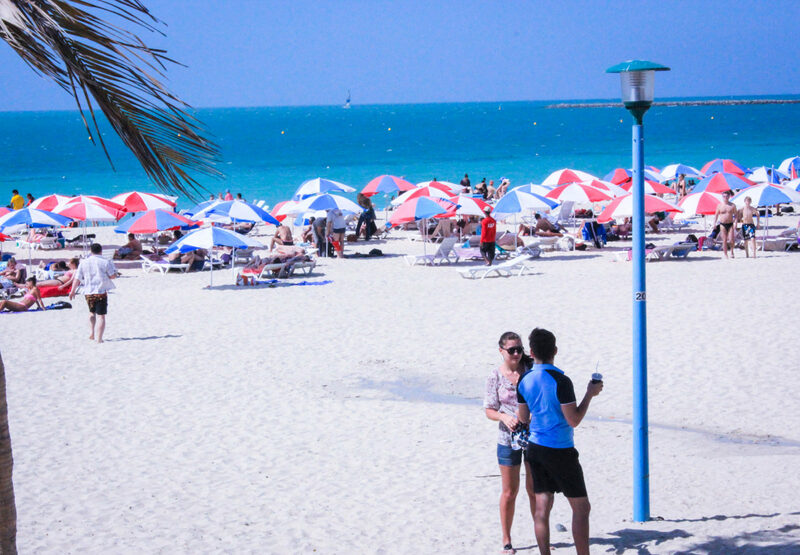 Jumeirah Kite Beach is one of the best public beaches in the city, set against the backdrop of Burj Al Arab. Although there are no lounges or shacks here serving alcohol, many restaurants and cafes line the white sandy beach, offering fresh juice, snacks and seafood, with amazing views of the colourful kites in the green waters. A walking/ running path, water sports, sun loungers with umbrellas, beach volley and other activities make this beach a fun one to spend time at and the only such public beach in the area. During January/ February every year, Dubai's Food Festival sees the springing up of Etisalat Beach Canteen, a temporary street food set up right on the white sands, with live music, bean bags and beach sports. This is what makes it one of the coolest places to hang out in Dubai. Insider tips: Stationed right next to the Kite Beach is the popular casual dining destination, a food truck called Salt. Although slightly expensive, their contemporary-styled burgers are a must-try! Read an interesting post on How to experience 15 world records in 4 days in the UAE. The concept of street food and food trucks is fairly new to Dubai and unfortunately, due to an unbearably warm summer, it is only in the six winter months that you'll find people swarming to outdoor places to enjoy the cool weather. From November - April, many events, and festivals focusing on street food take place. However, The Last Exit is not a temporary set up, it is a place dedicated to food trucks and street food lovers, beautifully decorated with lights, light and soothing music playing on the loudspeakers and the option of drive-in as well as dining area for the visitors. It is a one-of-its-kind place to hang out in Dubai. As the name suggests, The Last Exit is a themed food truck concept that is usually found at the last exit of a highway in the UAE. At the moment, we have four existing Last Exits and the largest one is on the Sheikh Zayed Road (E11), on the way from Dubai to Abu Dhabi, on the opposite side of the road. Insider tips: If you're travelling from Dubai to Abu Dhabi, it might be a better idea to visit The Last Exit on your way back to Dubai as it falls on the opposite side of the road and can be a bit of a detour for those going towards Abu Dhabi. Planning a short trip? 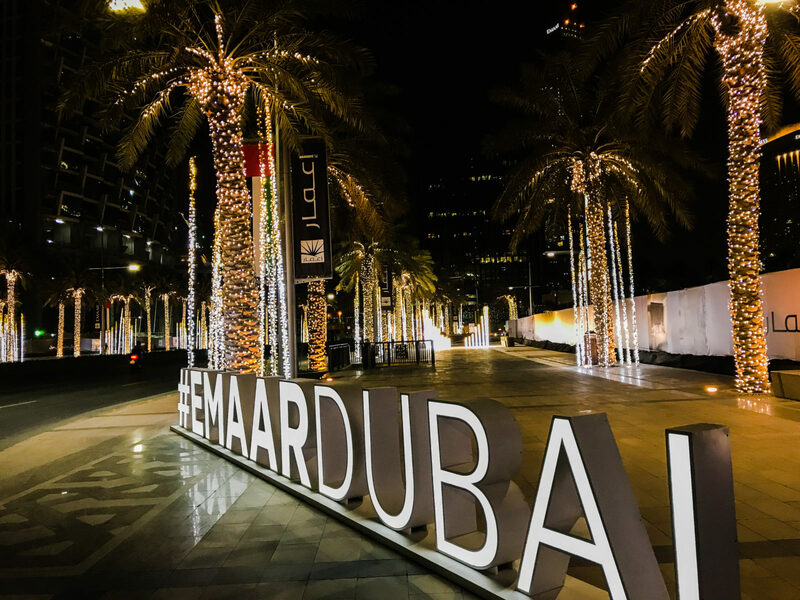 Here's your guide to a quick 4-day itinerary for Dubai & Abu Dhabi. Al Bastakiya is one of the most unique places to hang out in Dubai. Also known as Al Fahidi Historical district, although most people come here to experience the heritage of Dubai in a place that is designed like an open-air museum, with old-age architecture, wind towers, and several cultural displays as well as art galleries, what makes this place seriously cool are the cute courtyard and terrace cafes that you'll find here. Just allow yourself to get lost in the lanes and explore the area without any agenda - you'll stumble upon restaurants built inside heritage houses, cafes with bean bags, courtyards converted into reading spaces and boutiques. Insider tips: Right across the creek, you'll find the famous Gold & Spice souks, which are accessible by the traditional 'abras' on the creek. While in Al Bastakiya, do look for Make Art Cafe, one of the coolest places to hang out in the area, a cafe built in the courtyard of a heritage house which also has a bookshop, a rooftop relaxing area, a boutique and handmade souvenirs shop. 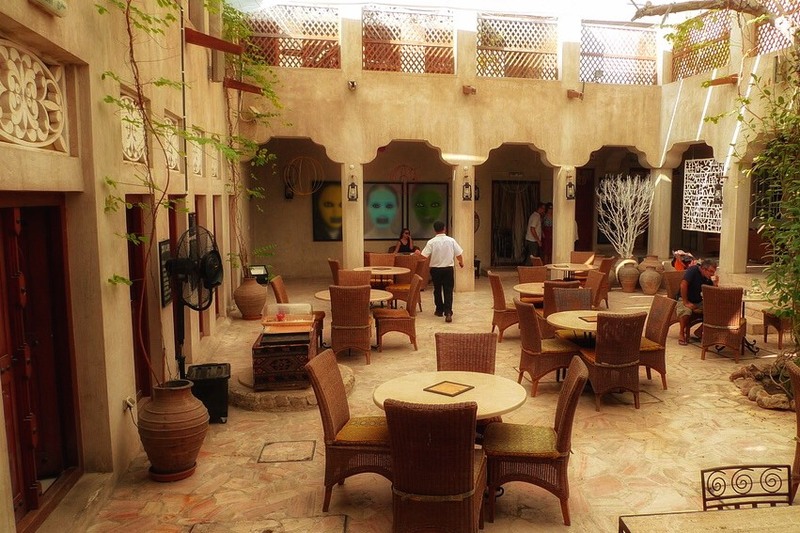 If you're looking for the perfect Arabian food in a cosy ambience, Arabian Tea House is a fantastic one. La Mer was opened quite recently and has become one of the most happening places to hang out in Dubai. A beachside stretch of numerous cafes, restaurants, bars, boutique shops, and even a waterpark, La Mer is buzzing during the day as well as at night. A very contemporary and minimalistic design, white sands and the blue ocean, beach loungers (although expensive), bars playing live music, food trucks serving street food, cool street art, fairy lights, watersports during the day (paddle boarding, kayaking, etc) and terrace cafes offering superb views of Dubai's skyline are all reasons why this relatively new destination has become one of the local's and tourists' favourite places to hang out in Dubai. Insider tips: Although it is rare to find places serving alcohol in Dubai unless they're a part of a hotel, La Mer has some restaurants which have a liquor license. Stars and Bars, located at one end of the stretch, is one with a really cool vibe, rustic seating, live performances on the weekend and some decent cocktails. For authentic and good Arabic food, Zouzou is a great option. La Mer also has a small waterpark called Laguna Waterpark, a great way to spend some time if you love slides, lazy rivers and lounging. Looking for a hotel in Dubai? Click here to find your best options. Dubai is such an unique city. I wish they had more of their history as a pearl market and spice trade on display. These are great for the person exploring the city’s food and shopping options. I loved getting to eat all the amazing food around the city. I had a layover in Dubai last April. Unfortunately, I was not able to go out of the airport but staying there for hours made me decide that I will go back and explore and I think I know where to go when I get there! Thanks for sharing and your photos are on point! They show how fancy and beautiful Dubai is. So when I eventually get around to coming to Dubai, you’re going to be my tour guide and show me all these places you’ve mentioned right? haha 😀 – There really some incredibly cool places to see and do in Dubai and I know I say this all the time in your Dubai posts but I still can’t believe I’ve never been. Great post! I don’t know much about Dubai but I definitely know it’s worth the visit. Will probably come back to this post when I’m doing my research to go! It always amazes me the shear size of the desert in the UAE. Having only been there on short stop overs I am yet to discover things to do and see there. Now I can just imagine grabbing a bite to eat at a local food truck and making my way to the beach. Thanks for sharing. Medha, We’ve been wanting to visit Dubai! Some friends of ours just went. Sounds awesome and like there are a lot of things to do there (and yummy food like the Salt food truck). We hope to go someday and visit Kite beach that you mentioned. Thanks for the great tips! Just by the pictures of Dubai, one can guess how cool and stylish the place would be. I am personally more interested in visiting the heritage sector of Dubai. Hope I am able to make it in 2018. This is a super cool list. I was in Dubai only during a layover. Now I plan to be there for few nights. Would keep this list handy. Winter is my favourite time here. I love the food truck festivals, the beachside brunches and desert camping trips. Right NOW is the perfect weather ever! I never think of places to just “hang out” in Dubai. It always seems like all you read about are the action-packed places you mentioned above. Thanks for showing the other side of Dubai. I’d love to relax at Madinat Jumeirah. It seems wonderful. We love “street food” everywhere we go. That will have to be a stop or maybe two. Love the night photos. Loved your photos of Dubai: they are different from the usual ones with the high rise buildings and make the city look a lot more appealing to me! I like your insider tips too: the artisan market sounds amazing. Dubai at night really stands out! I’d totally be up for that Marina Walk, it’s the perfect length and would certainly showcase much of the marina and downtown area. The level of wealth here is off the charts! These are seriously awesome places to hang out in Dubai. Looking a bit artificial, but I suppose it’s just because it’s all so new. One of these days I’ll actually get out of the airport and make the layover worth my while to see for myself! Dubai sounds so exotic, but then sort of seems a lot like Las Vegas. It sounds like there is no shortage of things to do and places to eat! Hopefully someday I can see for myself! I’d say it is like Vegas only in the sense that it’s so ostentatious and bright! But it’s not a ‘loud city’ at all and has a lot of discipline as well, which is natural here because of certain things which need to be respected culturally. There are several ways to spend a relaxing day – by the beach, in the desert, or in an exotic resort. It’s a beautiful mix of everything! I always associate Dubai with the grand luxury hotels buts its great to see some more casual things to do and see. Are there kitesurfers at Jumeirah Kite Beach? Oh absolutely, it’s filled with colourful kites of the kitesurfers on the Kite Beach. That’s how it gets its name 🙂 It’s lovely! I’ve flown through Dubai between Australia and Europe, but never felt inclined to stop in such a big city. This post has given me a better insight – it’s not just high-rises. There are canals, beaches, food trucks and so much more. Maybe next time I’ll stop for a few days and check it out. You must! I’m sure you will not be disappointed. We’ve flown through Dubai several times but never made the time to stop and explore the city. Your list of 7 cool places to hang out in Dubai convinced me to do things differently the next time we fly with Emirates. 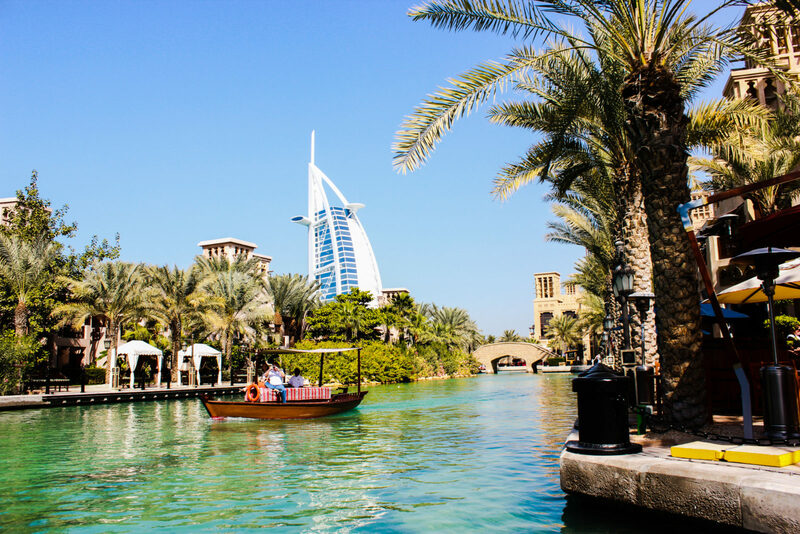 The Marina Walk and Madinat Jumeirah look like something our family would enjoy. I love how it’s never dark even at night. Dubai keeps the place well-illuminated with all the lights. My friend who lives there has told me you’ll never have a hard time driving at night. Love the mix of city life and beach, too! The more I read about Dubai the more I am eager to visit. I usually go to quaint places but I’ve read a couple of posts now that are really selling the place to me! I know that the kids would go there tomorrow, I just have to convince hubby! I’ll get him to read this post! Haha I understand what you mean by liking small, quaint places and Dubai is the total opposite of that! It is BIG, be it the skyscrapers, the gardens, the museums, the beaches. But it’s one of the few cities that will impress you despite that. The architecture, the vibe, the creativity and the variety of things to do here will amaze you! Fantastic post and a useful guide here. I am hoping to visit Dubai soon and there are a few places on here I havent even heard off and now I want to check them out. I’ve never been to Dubai, but I would definitely add these to my list. Have transited a few times through Dubai but not visited it. Have been planning a trip for some time now, but have not been able to make it as yet. Dubai is a fascinating blend of the past, present, and future. There are so many avenues of experiences for young and old alike. These are some lovely places to hang out when in Dubai. Citywalk seems to be the best area to hang around with the family. Citywalk is great, it has so much to do yet you won’t find it very crowded because it is not touristy at all! It is a fairly new place and not a lot of people know about it yet. They’re still visiting the older more popular places like Dubai Marina and Downtown Dubai. I got friends in Dubai and planning to pay them a visit soon. I will keep it quiet and see if they will end up bringing me to the spots you just mentioned. I would be curious to see what they would recommend as a top sights list in Dubai. The skyline images just look ridiculously cool! Plus you had me at pan-Asian cuisine, I do miss the food out there. The food truck concept is fairly new to Dubai but they’ve caught on quite well. 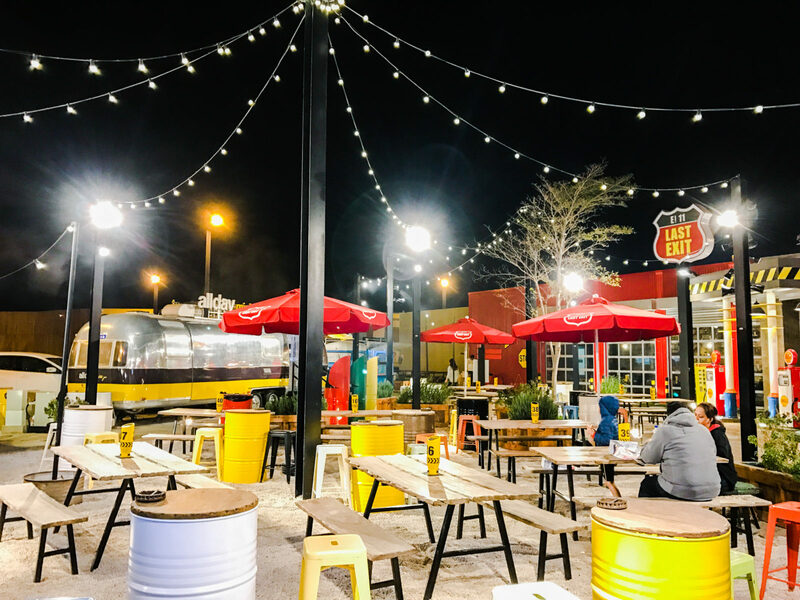 Especially during the cooler months, you’ll see people flocking to food truck festivals and places like The Last Exit and the beach, where a lot of food trucks also pop up. The Marina walk seems very “tourist-y” and iconic of Dubai (modern, high class, skyscrapers) but I prefer something like the Citywalk. Patio cafes and food trucks? I’m good! I personally love the Marina Walk – I enjoy fantasizing what it would be like to own one of those Yatchs, and Asia Asia is one of my favorites too. Madinat Jumeirah too though – I love it’s old architecture, so was glad to see both included on your list! Haha yea, and there are SO many of those yachts docked there! Everything in Dubai looks so spiffy and shiny. Like Switzerland on steroids (or camel milk). Where I live, in Portland, Oregon, food carts are huge, so street food would be something I’d try in Dubai as well. Wow! All these places offer such a different vibe than what I’m used to seeing from Dubai! I’m seriously intrigued. Some great photos – Dubai is full of awesome places to hang out, hoping to head out there next year! Amazing list. We are planning a second trip to Dubai, and I’ve bookmarked this list. I’ve never been really interested in seeing Dubai, just been there for a stopover. However, after your post, I’d like to give it a chance. The Last Exit sounds great, I love an outdoor food court, and the Marina looks so pretty! It’s one of the most lively cities you’ll ever visit! My favorite is the JBR with so many 3d canvas paints. I wasn’t able to visit Kite beach on my last visit since it was so humid ? Everything about your post shows Dubai to be an exciting place to visit! It’s on our list and I hope to go soon. The city walk looks beautiful! Thank you all the information. Yes Anne, Dubai has changed a lot in 9 years. And there are new places coming up every year, it’s the most dynamic and fast-evolving city I know! I never thought of Dubai as a walking destination. Your post though makes me feel you can walk around the city and its giant malls. I was in Sharjah earlier this year, but missed visiting the Dubai splendor – just met few of my friends living there. Stunning images, especially the night photos. There are certain areas where you can enjoy a lovely walk, like Marina Walk, JBR Walk, City Walk (as the name suggests LOL). Especially in the winter months when the weather is very pleasant. Really loved reading your post. Dubai has so much to offer to tourists. whether you are a foodie, Travel junkie or a shopper. I never thought much about visiting Dubai but I do love that there are big food truck areas – I’m a sucker for food trucks! It’s a fairly recent concept that has popped up here and plenty of food trucks, festivals for street food, etc have begun to take place now. I love food trucks too! How cool is that! Dubai is on my list. Thanks for sharing your nice photos and your great experience! It took me a second to figure out why you were saying that all the outdoor venues come alive during the winter, haha – duh, it gets super hot in the summer! Dubai looks like such an awesome city, and looks like there are some fun hangouts! Will have to keep this list on hand for when I go! I love Dubai. It is such a vibrant city. I was lucky enough to have a friend there so I saw a different side to the city. I also loved Marina Walk and I agree it is a cool spot! 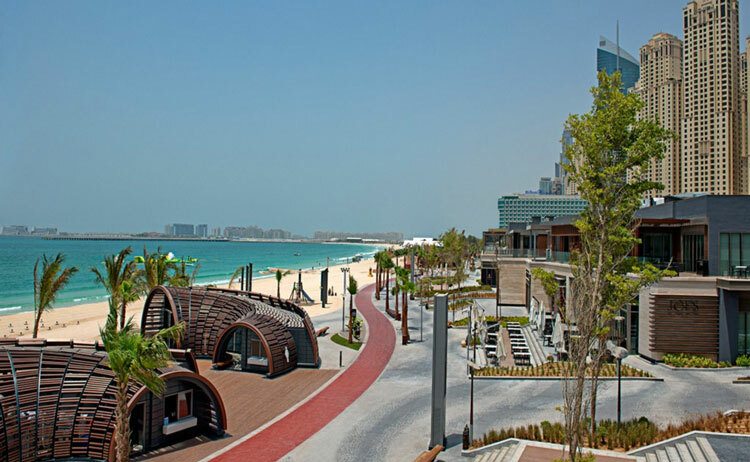 The walk along by the Jumeirah Beach Residences looks amazing, imagine living with those views all the time?! But I think the City Walk would be most interesting, loving the colourful street you’ve shown, and of course all the little shops and cafes and restaurants. Yea there are some great apartments in JBR and the views from their homes are breathtaking, you can see the gorgeous sea, and the vibe is lovely on those streets. These all places in Dubai are my favorite. I almost love JBR walks with nice beach shops plus restaurants and cosmopolitan crowd. We are planning to go dubai next year and i will make sure i add these locations in our itinerary. Pics looking amazing. Thanks for sharing. Great blog! I usually avoid megacities but Dubai would be a nice exception. Thanks for the helpful tips! This is a really informative and interesting guide to Dubai, a city I have not yet visited but hope to at some point. The photos are great too. Makes my task easy when I’m in Dubai. Thanks for the great post! I was in Dubai a while ago, and actually saw some thing on the list. But I wish I had the list at this time though, because I also missed some of them! :/ Interesting list, good work! Well, the thing with Dubai is, next places keep coming up! Like the Boulevard and City Walk are fairly new! If you do visit in the future, you’ll be happy to see the city looks quite different from your last trip. haha. This is indeed a good collection of places. Dubai seems so huge. Every time I read a new post about it, I see something new. It may not be geographically that huge Alexander, but there sure is a lot to do here! You’ll be amazed. I’ve never been too interested in Dubai, but your post makes it look less ‘artificial’ and uber-posh. It actually looks quite alluring – and your pix are of course wonderful! That’s fascinating. I’d never thought of Dubai in architectural terms, but you’re absolutely right; there’s plenty of stunning design to see. I really loved the road with the starry canopy overhead. Thanks for opening my eyes to the possibilities here, particularly as there are direct flights just down the road from me. Love the night pictures – I never really though of Dubai as an “evening place”. Gorgeous! Oh Dubai is actually prettier at night than during the day, with all the LED lighting, etc; it comes alive! And the nightlife here is amazing too! Was planning to go to Dubai next year, will definitely add these to my places to visit!